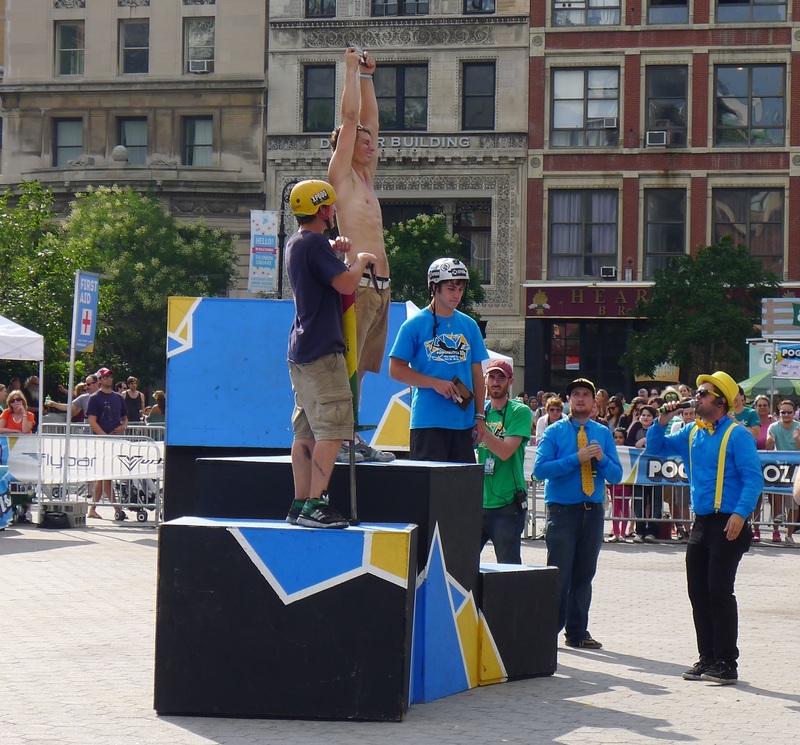 When I went to the air guitar competition a couple of months ago, most of the intrigue was learning that it was an actual thing. 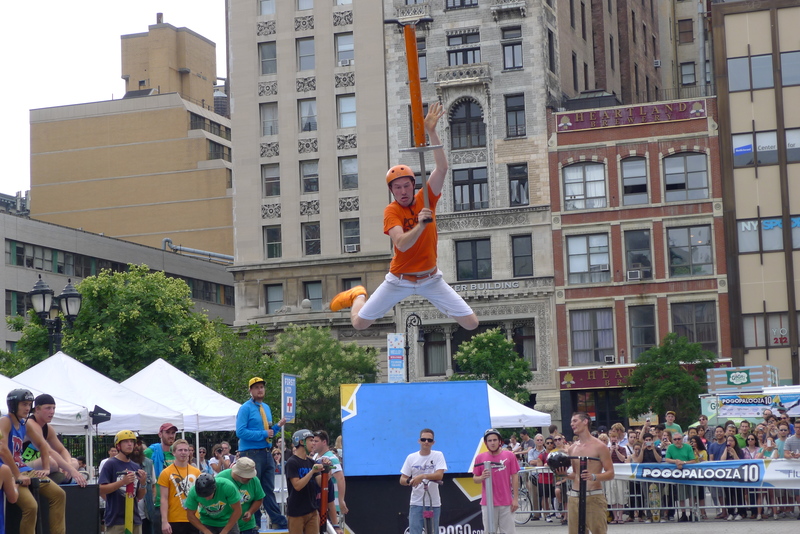 And today as I went to the annual world championship of extreme pogo, I had exactly the same feeling. 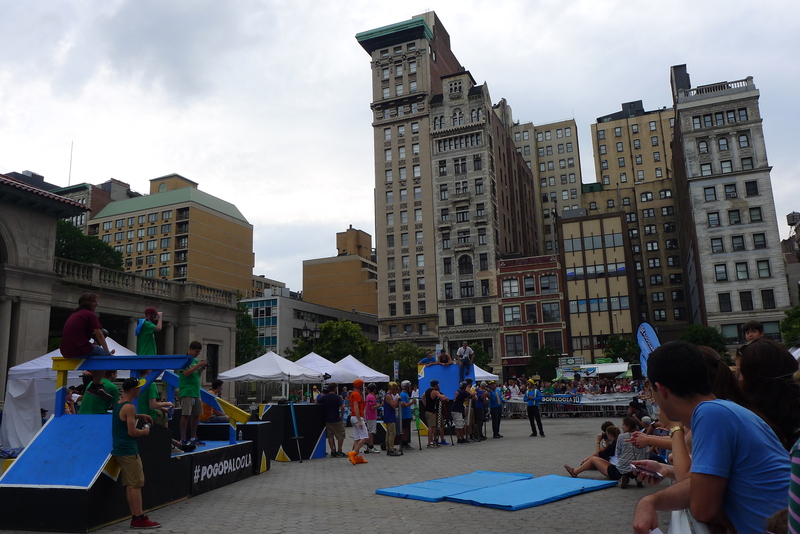 I’m sure I wasn’t alone in learning that there are actual competitions for this, and the great thing about Pogopalooza 2013 was that it was free and held at Union Square Park. This meant that thousands of people would have seen it as they walked through one of the busiest parts of the city – and what better way to let people know that this sport exists. 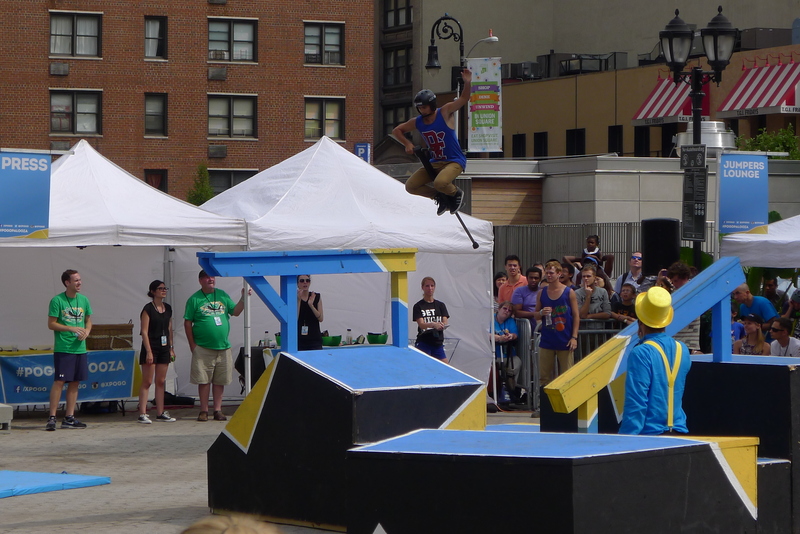 Then it was on to the new tricks round – where competitors had half an hour to complete a trick that had never been done before. This was much, much harder than it sounded. 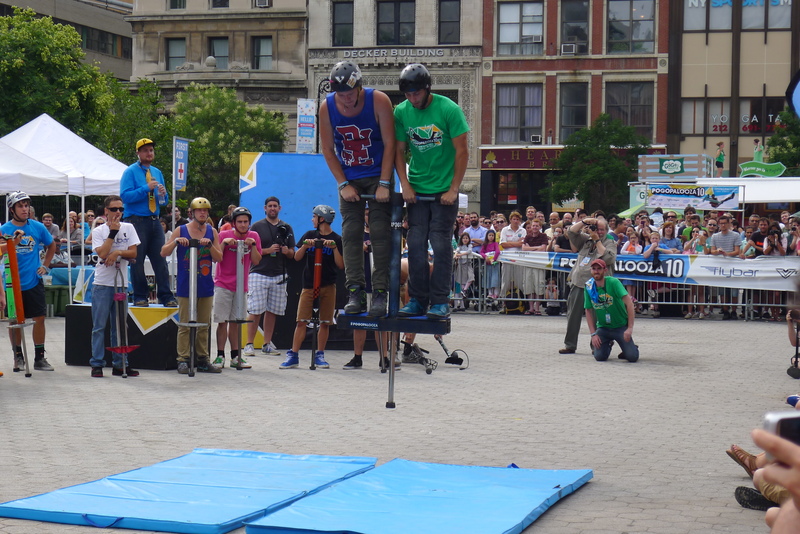 One by one, they attempted to perform the tricks and land back on the pogo stick. 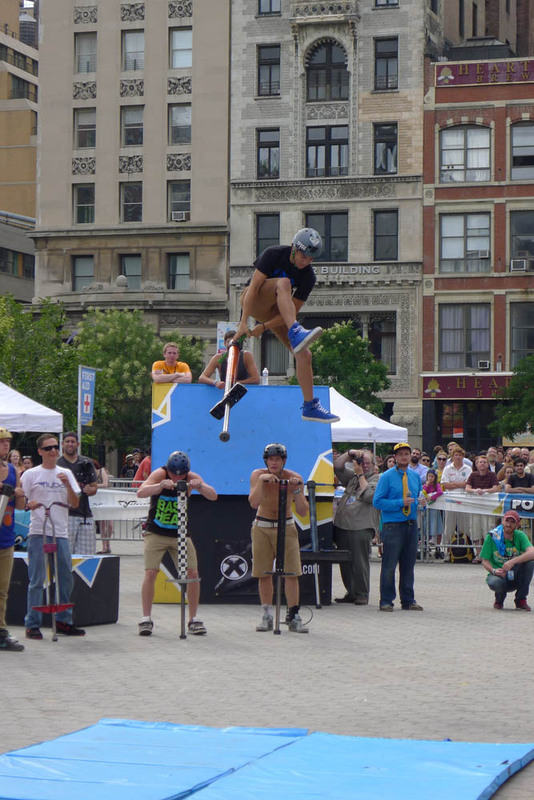 Legs flailed, pogo sticks spun – and there looked like there were many sprained ankles. 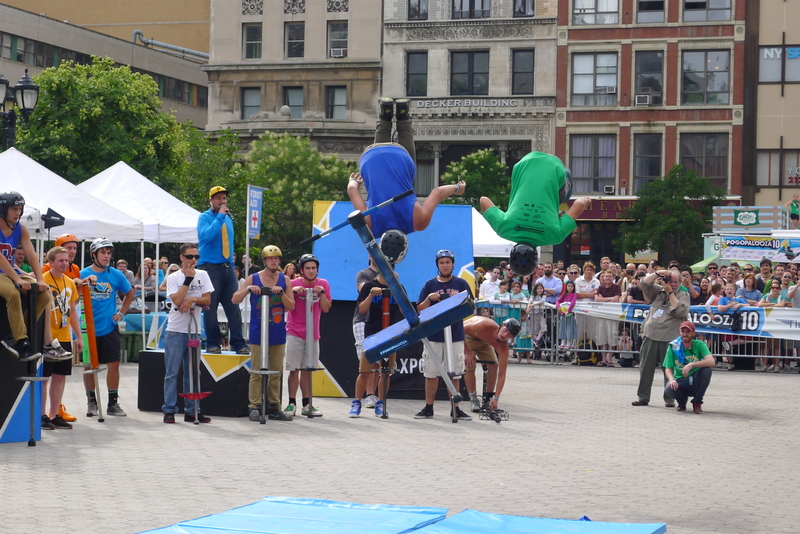 But after about ten minutes, a few of them landed their tricks – and the crowd was roaring. Funny how, when they actually completed the trick, they made them look so easy. I didn’t catch any completed tricks on film, but here are a couple of the bloopers. How do they not break their knees?! 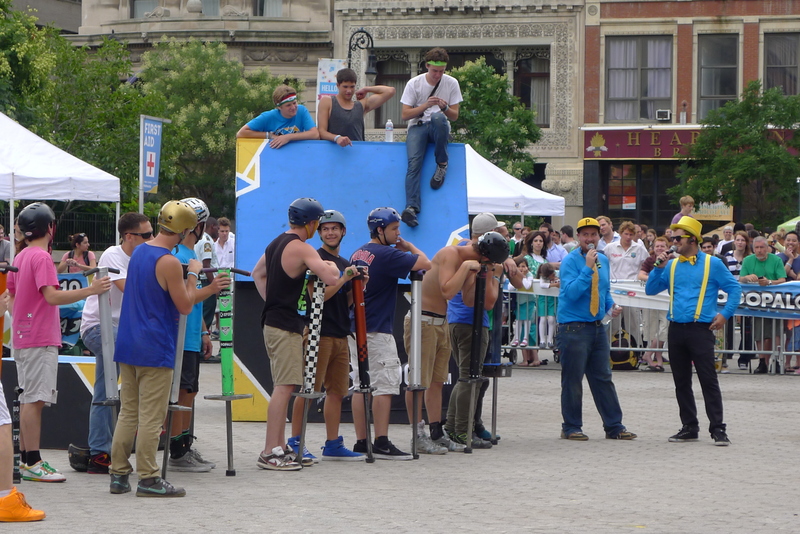 Some of the competitors were very, very intense, but it generally just seemed like a really light-hearted atmosphere with a group of guys who shared the same hobby and were happy to egg each other on. No girls though. I really need to get practising so I can represent next year. As a bonus treat between the different rounds, one of the organizers called his girlfriend to the course. ‘I love you so much,’ he started ‘And I thought what better way to let you and everyone else know, but to tell you here.’ And then he got down on one knee and whipped out a ring. She nodded yes – and again, the crowd roared. This was so cute. 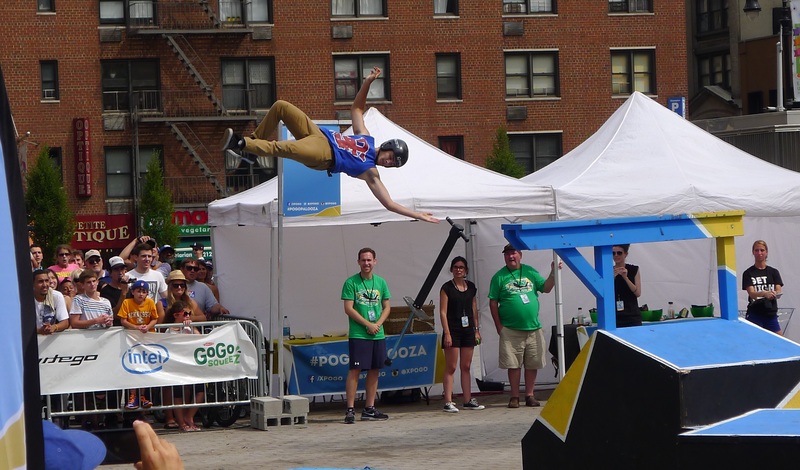 While I’m not sure that Pogopalooza is the best way to let her and everyone else know about his feelings, I was still squealing with excitement when I realised what was going on. Congratulations, stranger couple! I could never manage more than one mini bounce on the one we had many moons ago ! I won’t be trying this at home! 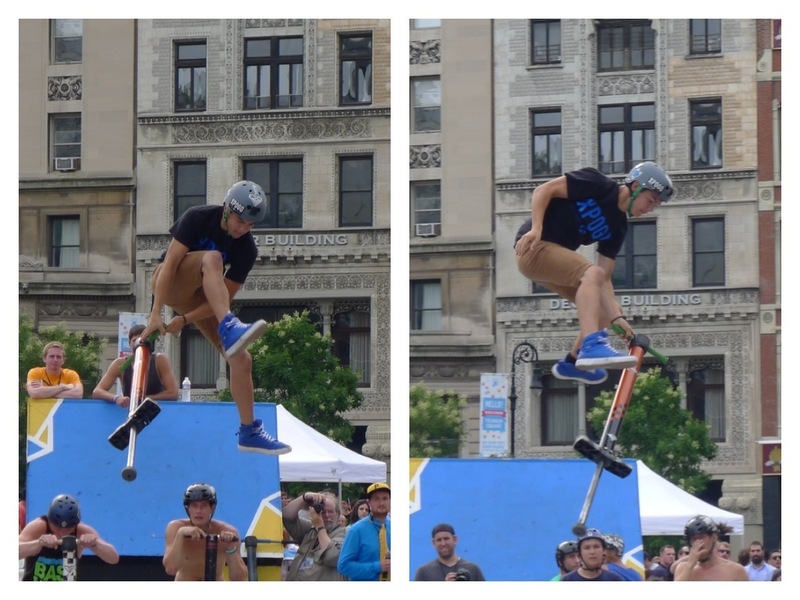 I know you don’t know this about me, but in my youth I was a pogo stick expert. I could do no hands! I know, I know. I’m like a minor celebrity in this circuit.